Students take various workshops throughout the day. 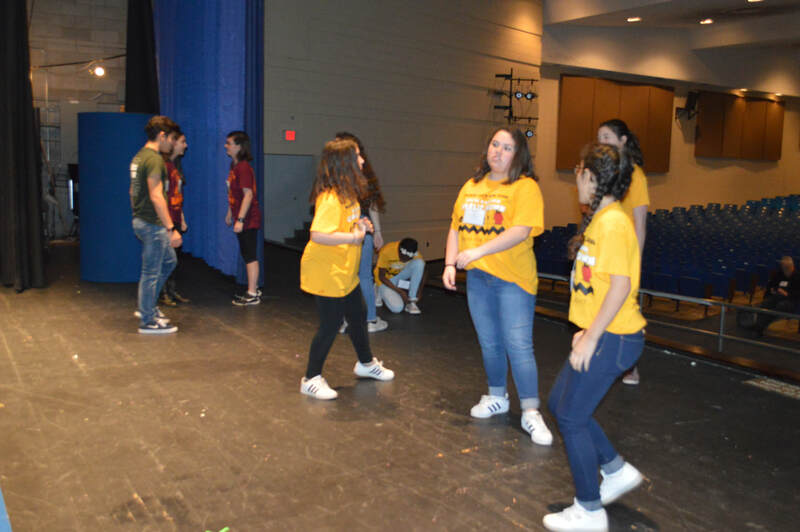 They will learn all different aspects of theatre, and gain a well-rounded theatre education. 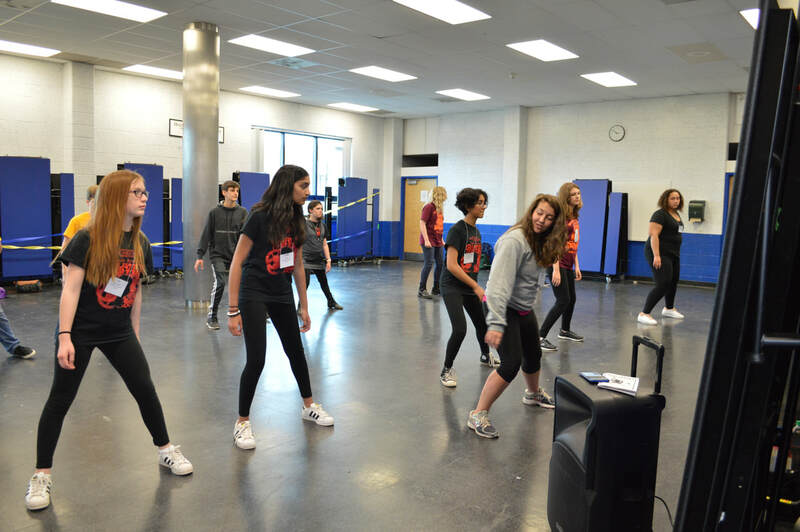 Professional Teaching Artists and Theatre Practitioners teach these workshops. I AM A STUDENT, What sHOULD I BRING TO my WORKSHOPs? Just bring yourself. 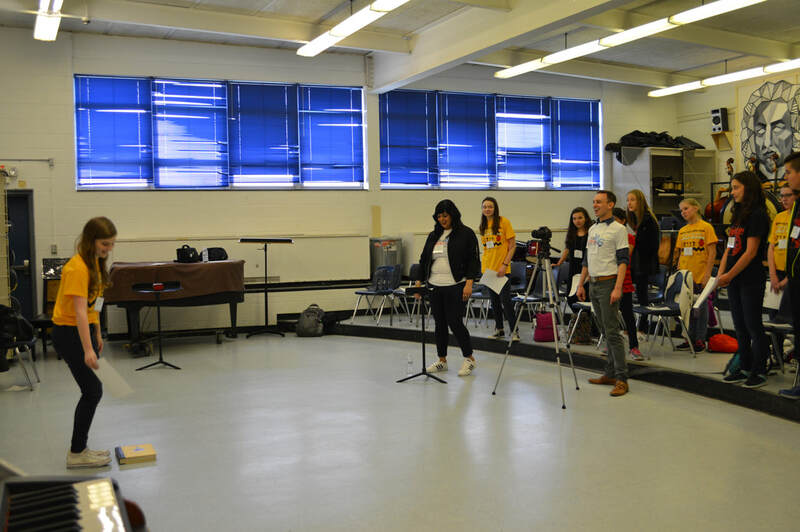 For movement workshops, you may bring Jazz or Dance Shoes, but it is not required. i am a student, how many workshops do I TAKE THROUGHOUT THE DAY? If you are participating in Individual Events, you will take 3 different workshops. However, if you are not participating in IEs, you will take 4 different workshops. WHAT IS THE AVERAGE SIZE OF A WORKSHOP GROUP? DO Student's get to choose their own workshops? No. 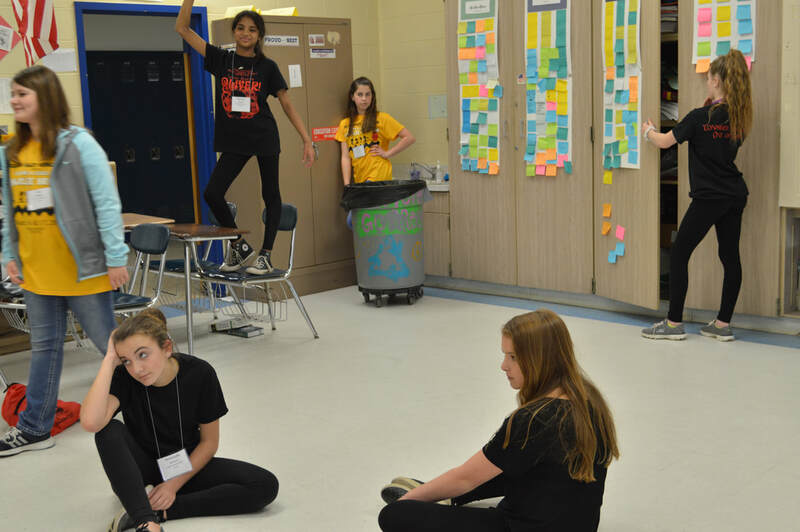 Students will be placed in 3 or 4 different workshops in an effort to maximize well-rounded learning for all aspects of theatre. i am interested in presenting a workshop. . .
Do workshop presenters get paid? A $25 stipend is offered as an additional benefit. Workshop presenters get Professional Development Credits for attending, complimentary lunch in the The Green Room, and may choose to have: 1. a vendor table, 2. quarter page ad to advertise for their company/workshop, or 3. $25 stipend for their theatre company or organization to help defer the cost of travel and materials. The workshops are 45 minutes long. Presenters can choose to teach either 2 or 4 workshops throughout the day, and may choose whether they would like to attend for a Morning, Afternoon, or Full-Day Session. how many students are in each workshop group? Prepare for 10-25 students to be in each of the groups.